Cessna 172 Cockpit | Flickr - Photo Sharing! Cockpit of Cessna F172P, G-BLHJ, four seat passenger aircraft. As with the smaller Cessna 150/152 series trainers, power is applied or reduced using a plunger. 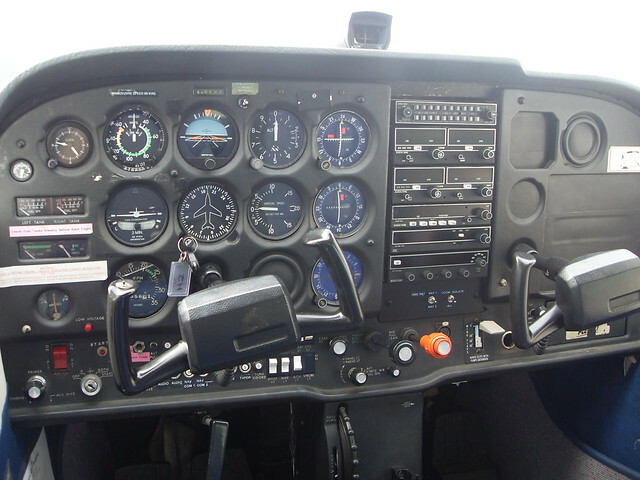 The basic arrangement of controls is much the same as on the Cessna 150/152 with the same array of electrical switches, carb heat plunger, throttle plunger, mixture plunger and small grey lever for operating the electric powered flaps.